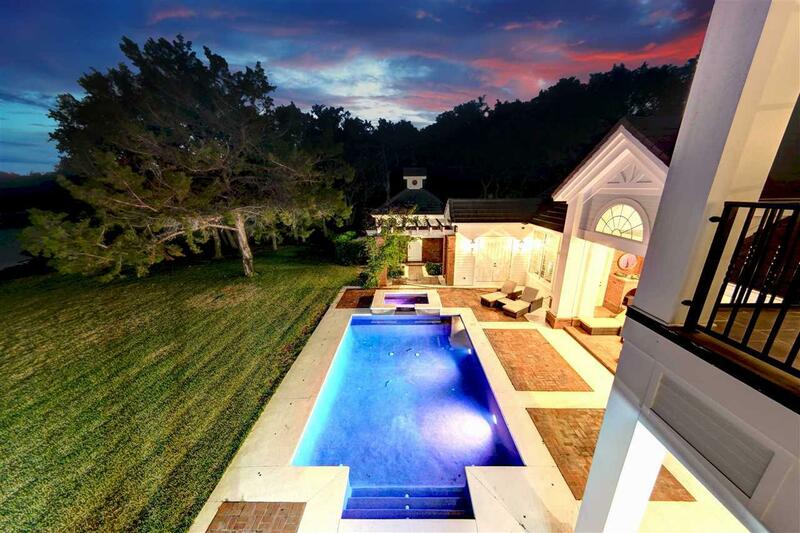 OPULENT GATED ESTATE ON THE INTRACOASTAL WATERWAY with 5430 heated sq. ft. and 9659 under roof. From the floorpan, to the finishes, to the unparalleled quality of construction, no expense was spared in building this home. 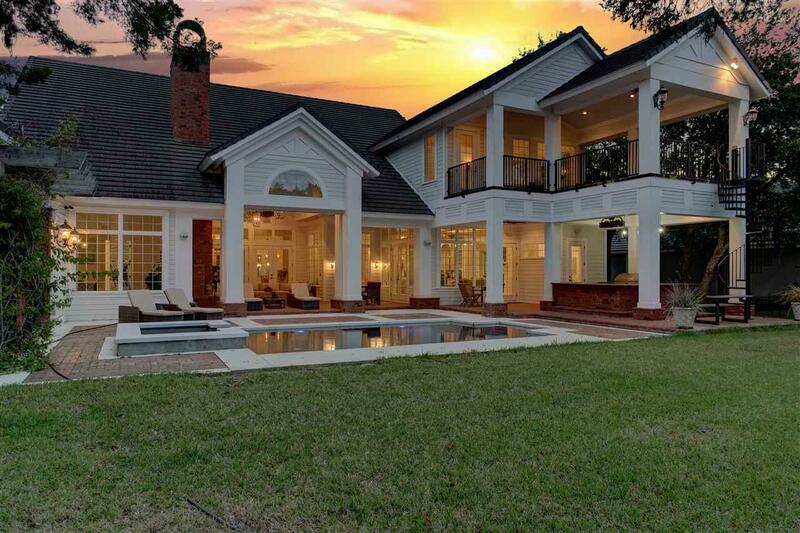 Finishes include marble throughout, a chef's kitchen, 6" wide Brazilian plank flooring, coffered soaring ceilings, oversized solid doors, and so much more. The house itself is concrete block covered in Hardie Board siding with closed-cell spray foam insulation, impact windows and doors, hurricane shutters, a 500 gallon propane tank, on-demand hot water heater, whole house generator, and a concrete tile roof. There will be plenty of room for family and guests both indoors and outside. In addition to the generous master suite, there is a formal living room and dining room, eat-in kitchen, family room, large study, and bonus room. Inside each guest room has an ensuite bath near an adjacent kitchenette, a third living room and a terrace. There is almost as much outdoor living space as there is indoors with an oversized outdoor living room, a chef's kitchen, and a heated saltwater pool with jacuzzi. The back entertaining area is equipped with an commercial exterior cooling system for those hot summer days, and a massive fireplace for those cold winter nights. The entire outside living space is protected by automatic hurricane doors to close off the outside space for year round use. 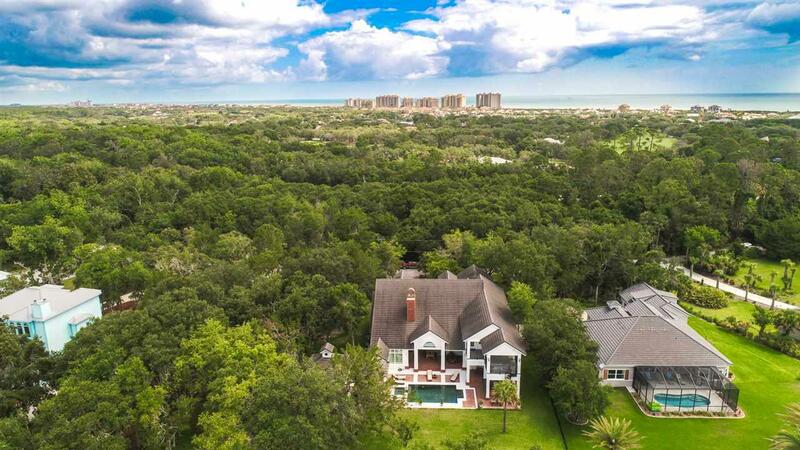 With over an acre on the intracoastal and a private beach, this is truly a waterfront dream!